Vern Davidson, Venice, California, March 14, 1954. David first met Vern Davidson (1929-2012) at UCLA when they were students. Vern was the intellectual leader of the Socialist Party group when David got involved. Event honoring the centennial of Eugene Debs birth. Matilda Robbins at right. Some of the crowd at the centennial event in Los Angeles (before David moved to NYC). Matilda Robbins at the centennial event. Rex Backus, SP comrade and lifelong friend, 1955. Barbara Backus, SP comrade and lifelong friend, 1955. A party for Vern before he was sent to prison for refusing to fight in the Korean War. Socialist Party office, Los Angeles, November 1955. Charles Curtis (1908 - 1993) at Vern's going away party. Harry Siitonen (1926-1990) at Vern's going away party. Fred Hildebrant at Vern's going away party. Picket line protesting Vern Davidson’s imprisonment for refusing induction. December 1955. Davidson served two years in prison for his draft resistance. He remained a pacifist throughout his life. After David moved to NYC in 1956, his connections through political activism landed him his first jobs. 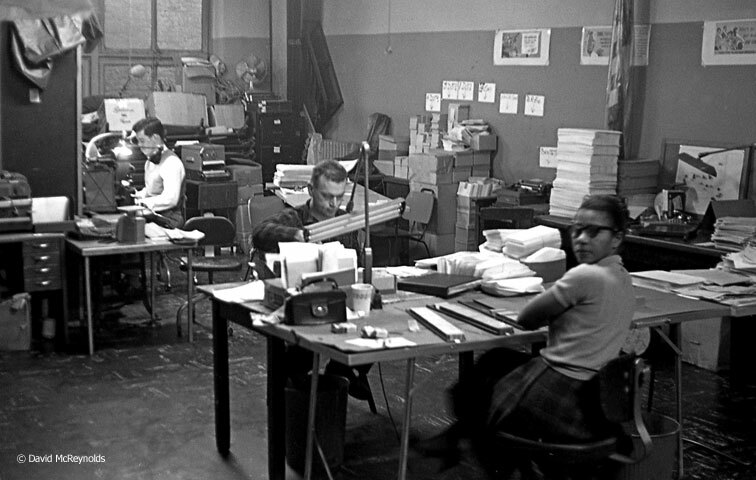 One was part-time work in the DC 37 office, Jan. 1957. Liberation office on Christopher Street, April 1957. 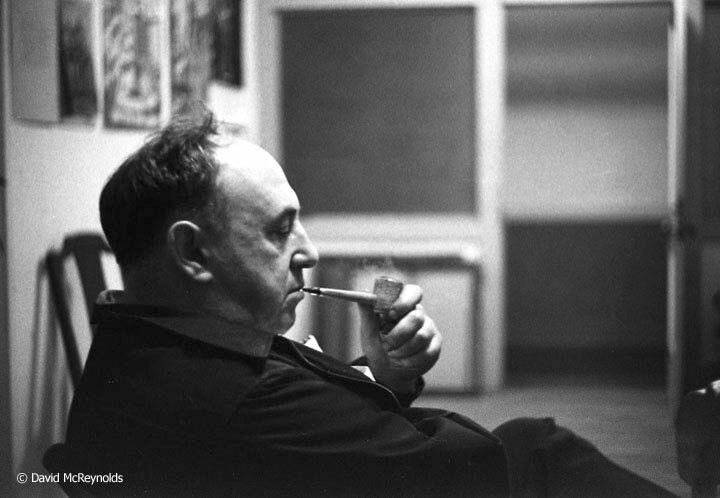 David worked for the editorial board of Liberation Magazine between 1957 and 1960. Liberation Office at 110 Christopher, NYC. April 1957. Mission of the USSR, New York City, Nov. 3, 1956. Socialist groups support the push for autonomy in Poland and of the Hungarian uprising against Soviet control. Groups protesting include the Young Socialist League (YSL) and the Independent Socialist League (ISL). Mission of the USSR, New York City, November 3, 1956. Held in New York City, the Socialist Party (SP) and the Social Democratic Federation (SDF) reached a unification agreement after a 20-year split. Norman Thomas (SP) speaking at the convention. Gus Gerber (left) and Louis Waldman of the SDF between sessions. 1957. Herman Singer (seated), Darlington Hoopes at microphone, Robin Myers (right). Singer was Executive Secretary of the SPA from 1954-1957. Darlington Hoopes was the party’s presidential candidate in 1952 and 1956. Myers was Executive Secretary from 1950-1954. Members of the Social Democratic Federation (SDF), which merged with the Socialist Party in 1957 to form the Socialist Party-Social Democratic Federation (SP-SDF). 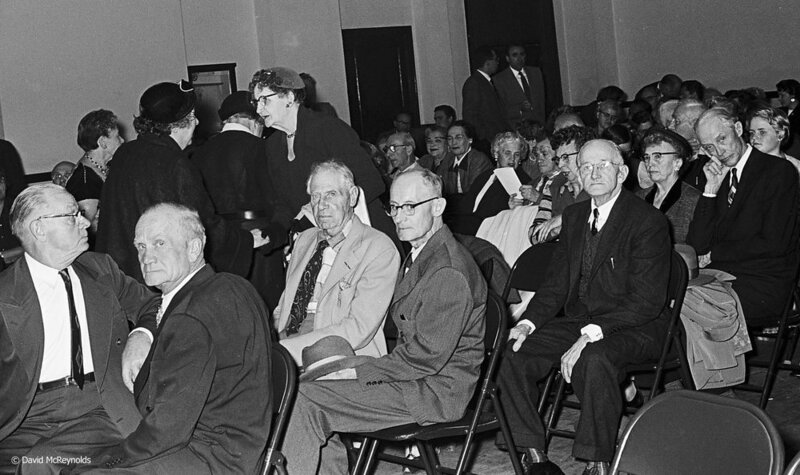 National Executive Committee meeting, Socialist Party, May 25, 1957, New York City. National Executive Committee meeting, Socialist Party, May 25, 1957, New York City. Gus Gerbee on the right, Robin Myers center. 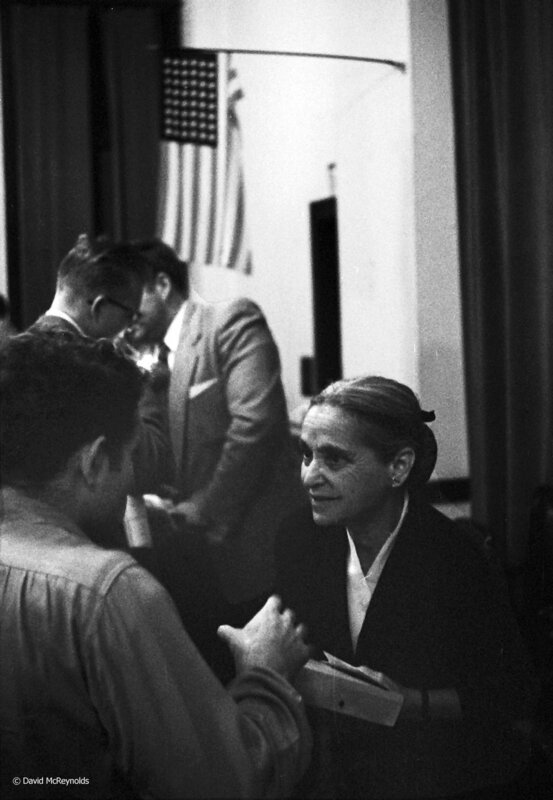 National Executive Committee meeting, Socialist Party, May 25, 1957, New York City. Herman Singer speaking, editor of the Socialist Call. SP contingent at the second Special Session on Disarmament march, June 12, 1982, NYC. Bob Auberbach, left, helps carry the socialist banner at the Special Session on Disarmament (SSDIII) march. NYC, 1988. SP at the Special Session on Disarmament (SSDIII) march. NYC, 1988.